CBT Nuggets is proud to announce the sponsorship of PGA touring professional Aaron Wise. 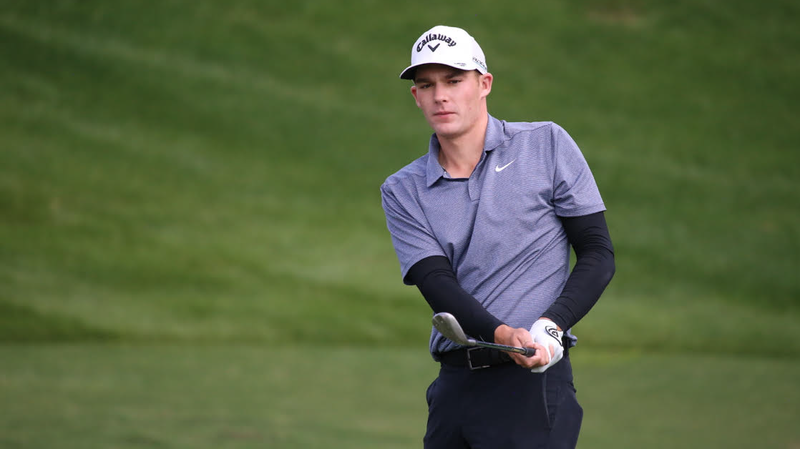 The 21-year-old captured the NCAA Men’s Individual title in 2016 and secured his PGA Tour card in 2017. We are sponsoring Wise because he embodies many core CBT Nuggets values, including a passion for training and a drive to continually improve his game. Similar to any professional development path, Wise used his earlier experience in collegiate sports at University of Oregon to further develop his skills. In 2016, he not only earned the title of 2016 NCAA Individual champion, but also helped lead his team to win the NCAA Division I Men’s Golf National Championship. Despite an impressive 70.55 scoring average, he has noticed a big difference in the competition on the PGA Tour. Wise said to Golf Digest, “At amateur golf, you drop a shot, it’s not a huge deal, you can still fight back.” Playing at the professional level, however, there’s little opportunity to recover. The competition pushes him to “practice that much harder,” Wise said. Wise has trained from the collegiate to professional level — and developed his skills on the course with a combination of hard work, dedication, and training. CBT Nuggets and Wise both share a commitment to these values, making this sponsorship a natural fit.